Bobby Gruenewald (@bobbygwald) is passionate about exploring new ideas and finding practical ways to leverage them for the global Church. He serves on the Leadership Team at LifeChurch.tv as the Pastor, Innovation Leader and founder of the YouVersion Bible App. Working with lead pastor Craig Groeschel, LifeChurch.tv has shaped a missional approach to technology, seen in initiatives like Church Online, as well as the Bible App and the Bible App for Kids from YouVersion. 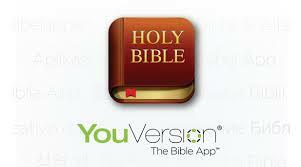 Just six years after its launch, the YouVersion Bible App has been has been downloaded and used on over 150 million devices on nearly every smartphone and tablet in every single country on the earth. Bobby believes this generation has the potential to become the most Bible-engaged generation in history. Adhering to a strong belief that churches can accomplish more working together, LifeChurch.tv has also created a suite of free tools for church leaders including Open resources, Church Metrics, the Church Online Platform, and Develop.Me. Gruenewald is one of the leading voices in the Church on innovation and the use of technology to reach people for Christ. He frequently writes and speaks on the topic, and has been featured in the New York Times, Washington Post, NBC Nightly News, TechCrunch, CNN, CBS, Stanford Business Magazine, and more. He was also named to Fast Company’s list of the Most Creative People in Business. 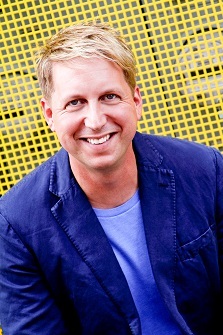 Prior to joining the LifeChurch.tv team in 2001, Bobby started and sold two technology companies and consulted with startups and venture capital funds. These entrepreneurial endeavors began while he was studying Finance at Southern Nazarene University as he worked with several alumni to launch a web hosting company. Bobby and his wife, Melissa, met while growing up together in Central Illinois and married while both were attending SNU. They have continued to spread their roots in Oklahoma and currently live in Edmond with their four children. View Bobby's 10in2 video HERE.